The Grand National is one of the biggest horse races in the world, and it takes place every year at Aintree racecourse. 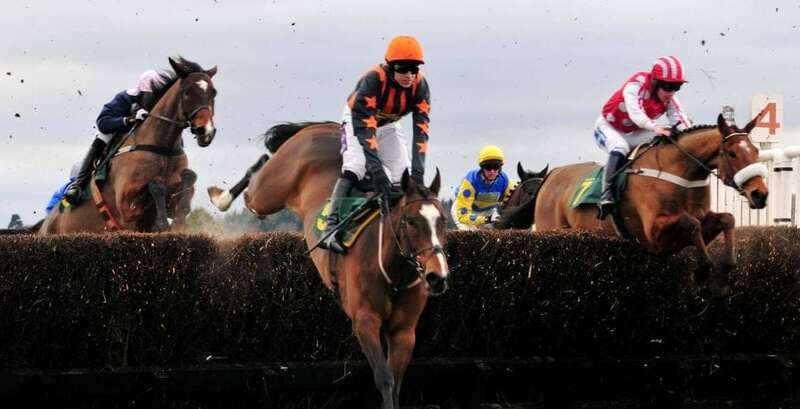 The race is a gruelling test for both the horses and jockeys involved, it is run over a distance of over four miles, and the fences used are the biggest in the UK. Both together make this an almost impossible race to win, many try and only a few succeed, earning them a place in British horse racing history. This year the race will take place on April 14, and there is sure to be a sell-out crowd in attendance as is always the case. Those punters will be taking the Grand National odds on their fancies, and hoping they are the lucky ones cheering home a winner. 40 horses go to post for this famous event, and many more want to, but the field is restricted so they can’t. While you need to have an extremely well-handicapped horse to win the race, you also need to be rated high enough to get in, this is a fine balance that trainers need to get right if they are to taste success. One thing you do need in this race, something that you can’t train or buy and that is luck. This race needs a huge amount of luck if you are to win it, with many factors that could ruin the chances a horse has, through no fault of their own. There are many fallers in the race, as well as many mistakes where the jockey manages to stay on board, and if these happen in front of your horse, even if your horse jumps perfectly fine, he is likely to be in trouble. Your horse could put in a perfect round of jumping, and still have plenty to give but if something else causes an obstruction, then it is likely to be the end of your chances. The expected field for the 2018 edition of this race looks set to create an interesting and exciting race, and there are many horses in with a chance of winning. Here is a look at some of the main contenders at this point, and why they look to have a chance of winning. Blaklion is one of a few horses that could go off as the favourite for this race. He has run three times this season and has really impressed on two of those starts, before failing to get home on terrible ground in his most recent start. His season record is two seconds and one victory, and he looks to have exactly the right type of profile for this race. Blaklion ran in the race last season and finished a very credible fourth place, in what was his first run over these fences and his first try and this extreme distance. We know he stays now, and he has had a further look at these fences this season too, putting him spot on for the challenge in April. He began this season with a good run to finish second in the Charlie Hall at Wetherby, before going to Aintree and recording his first win of the season. That came in the Becher Chase, a race that uses the big Grand National fences and one that gave him some more vital experience over them. He then ran in the Grand National Trial at Haydock on terrible ground, and he was likely not 100% fit that day, with his trainer Nigel Twiston-Davies leaving something to work on. He really tired towards the end of that race, and finished in second, though it is expected we will see a lot more from him when he turns up on the big day. Blaklion has the stamina to win this. He has course form over these fences and looks to be right at his peak, so he ticks many boxes going into the race. He is likely to be one of the most popular Grand National tips you will see in the lead up to the race. Prior to his run in the Cheltenham Gold Cup, Total Recall was vying for favouritism with Blaklion, but he has now eased off a little. He fell in the Gold Cup, but appears to be totally fine coming out of the race and will now head to Aintree. He was in the process of running a very good race in the Gold Cup, and who knows where he would have finished had he managed to stay on his feet. After looking so promising last time out, he is sure to interest a lot of people who are looking at the national. Prior to his run in the Gold Cup, Total Recall had won all three of his starts this season, including a thrilling win in the Ladbroke Trophy at Newbury, a race that threw him into the Grand National mix. He looks to be a very progressive handicapper and could be a horse that improves more when he goes further over the extreme Grand National distance. He has only run over 3m2f so far, so will need to travel a lot further in the big one, but despite that, he remains an exciting prospect. He is also jumping the big national fences for the first time, so that is another test he will have to overcome if he is to win the big one. When you compare Total Recall to Blaklion, he doesn’t tick the same boxes as Blaklion does, but there is a lot to like about him. He would have been of huge interest if he had seen these fences before, but despite that, he should have a very good chance of challenging in the Grand National. Total Recall was in the process of running a very nice race in the Gold Cup before falling, and he has to prove his well-being after that race to be considered here. However, if he does that then he looks to have a great chance and is clearly a horse that is going places. Tiger Roll put in a fantastic performance at the Cheltenham Festival to win the Cross Country Chase and will now head to the Grand National in search of a famous double. His trainer Gordon Elliott nearly did that last season with Cause of Causes, a horse who won the Cross Country but then only managed second in the Grand National behind One for Arthur. His run at the Cheltenham Festival was very good, and that made him a three-time festival winner, with his last two coming back to back over the past two years and both over extreme distances. That gives Tiger Roll a good profile for the race and he is a very interesting contender who is clearly in great form right now. If there is one negative in the form of Tiger Roll, it is that he has not run round the national fences yet, so we are unsure how he will handle them. He really took to the Cross Country course at Cheltenham, which is a very different challenge and something that can test horses so that is a good sign for him. If he can put in a good round of jumping and take to the fences then he has to be considered because he appears to be in great heart right now. The horse that ticks all the boxes is Blaklion, he is the rock-solid form chance and he looks like he will be sent off as one of the favourites for the race. He has been trained specifically for this race and has only slightly disappointed on one occasion this season, and that was an extremely testing ground. He likes the track and has run twice over these fences before. There is a lot to like about him. If there is one horse in the field that has a bit of class about him, and could still be extremely well handicapped then that is Total Recall. We can only guess how he would have done in the Gold Cup if he had stayed on his feet, but in the position he was in, placing looked to be a genuine possibility. He has to get over that fall, and also needs to jump around these tough fences which is a tough ask on his first run back after a fall, but looks to have the class to be able to do that. Outside of the front two, there are many outsiders who will have a chance if things go to plan, but just like any other horse in the race, they will need a lot of luck if they are to be victorious. The Grand National prediction for 2018 is that Blaklion will win the race. Total Recall looks to be full of class but lacks experience over these fences and he can chase home Blaklion, who looks primed for the race.